Last week my first ever order from Ninja Book Box arrived. 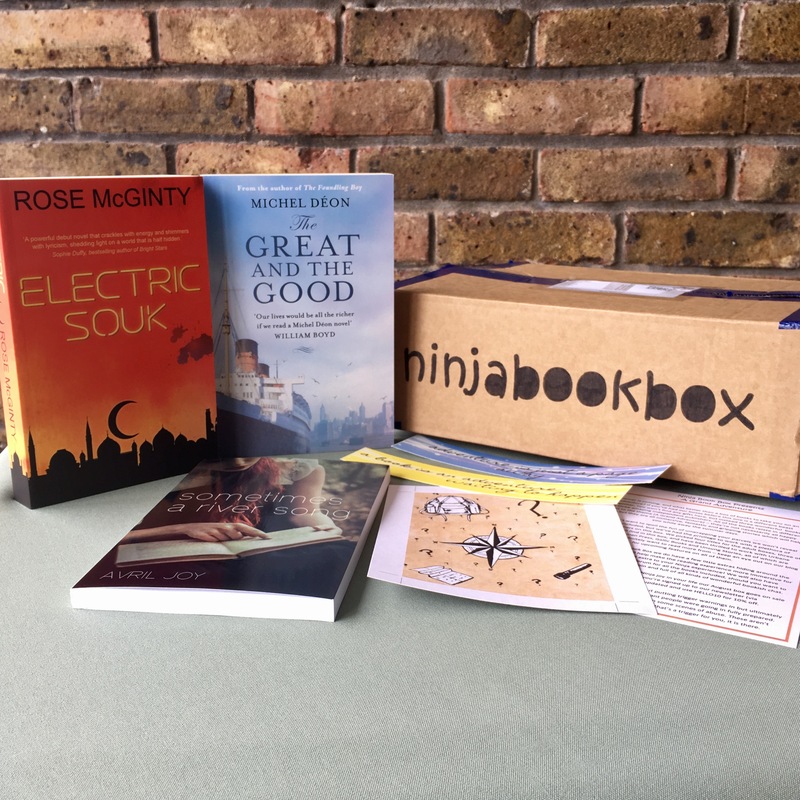 Ninja Book Box is a UK-based quarterly subscription box that focusses on independently published books. The book featured each quarter are from a variety of genres and are not particularly YA focussed, so if you like the idea of a subscription box but aren’t a huge YA fan, then the Ninja Book Box might be for you. At the moment, they have a special box for sale called A Grand Adventure Summer Reading Box which contains three books but none of the usual goodies you find in the usual subscription box – this is the box I got. I chose to get this box because while I like the goodies you get in subscription boxes, the main draw for me is the books. This is a cool one-off box and you can choose if you want adult books or kids’ books or a mixture of both – and you can stipulate the age range for the kids’ books. So that’s what the Grand Adventure Summer Reading Box is so let me show you what was inside. I have to say I was very impressed with how the box was put together. Each book was individually wrapped in colourful tissue paper and there was a lot of bubble wrap to make sure the books didn’t get banged up in transit. I ordered the adult box and while there are three books included in the box, there were four titles chosen so I’m looking forward to seeing what the fourth possible title I could’ve ended up with was. The first book I unwrapped was Electric Souk by Rose McGinty. I adore the cover of this book and how it has an Arabian skyline on each page, very nice book design. This sounds like a super fast paced book about an Irish woman who goes on an adventure but gets caught up in the Arab Spring and in between two men. This is a book I already know I’m taking to my Dad’s to read (my Dad lives in Spain and when I go see him over the summer I take at least eight books) because it feels like a great book to read in the sunshine. The next book was Sometimes a River Song by Avril Joy. At under 200 pages this is a pretty short book but it sounds like a potentially tough read as the heroine struggles to escape from an abusive father and a cruel man she is given to. I like the fact it’s set in 1930s Arkansas and from the blurb I get the impression it’s going to be a beautifully written book. And last but no means least was The Great and the Good by Michel Déon. I may use this book for my Read the World Project as it’s written by a Frenchman and is about a young Frenchman who travels to America in the 1950s to take up a scholarship at an Ivy League college. It seems to be a tale of love and growing up and maybe even the American Dream. I love how all three books are from authors I’ve never heard of and how they all sound like very different stories in different genres. Also, I’m sure it was intentional but I do like the fact that all three books are set in different countries which definitely helps go with the Adventure theme. One of my favourite things about subscription boxes is discovering new books that I wouldn’t normally see or pick up, so I feel the Ninja Book Box is a great box for that. I’m looking forward to reading these books over the summer and even if I don’t buy the next Ninja Book Box (because money) I will be keeping my eye on the books featured so I can discover something new. I was definitely impressed with the Grand Adventure Summer Reading Box. 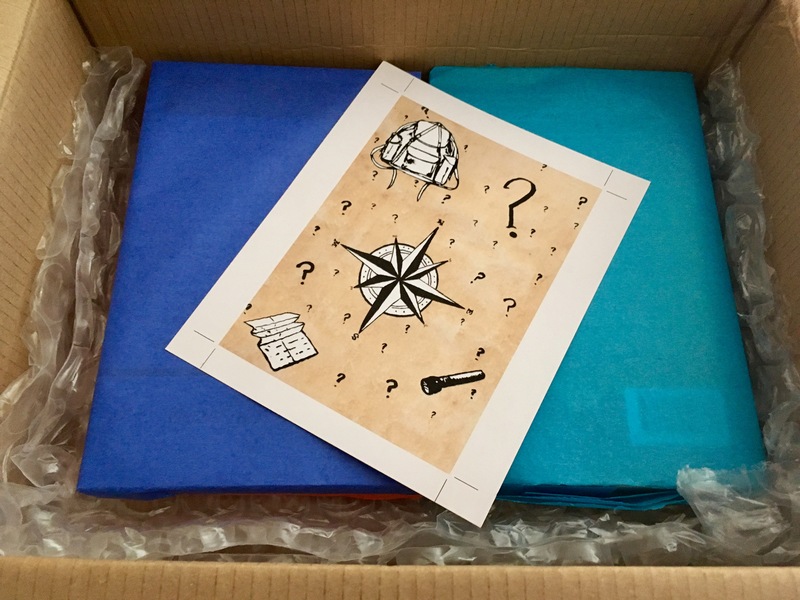 If you like the sound of this, the Grand Adventure Summer Reading Box is still on sale and you can find out more about Ninja Book Box and when to sign up for the monthly subscription box here.